This Border Collie was busy chasing his ball and this is the first contact. He’s ready to kill it and return it to his owner. His owner was quite far away and was throwing the ball with one of these plastic extender to throw the ball even further away. 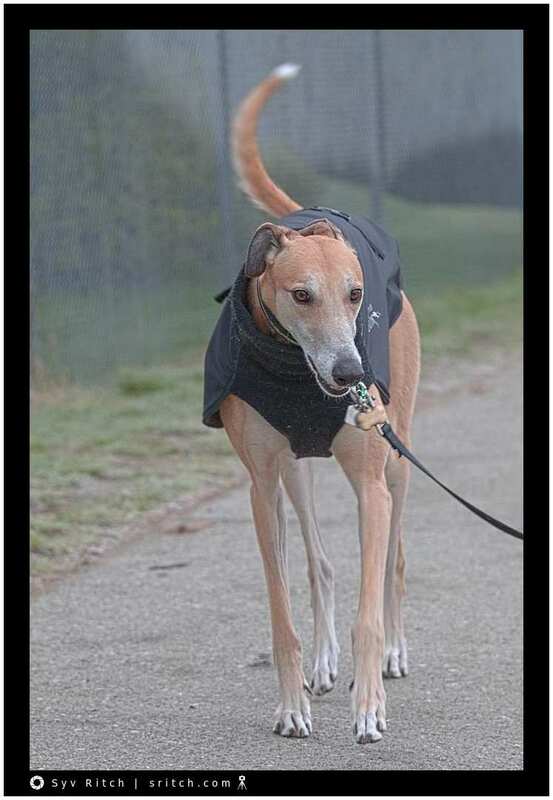 Bingo is a Greyhound rescue from Tijuana, Mexico. She only raced for a couple of years. She wasn’t fast enough so the “race people” got rid of her. 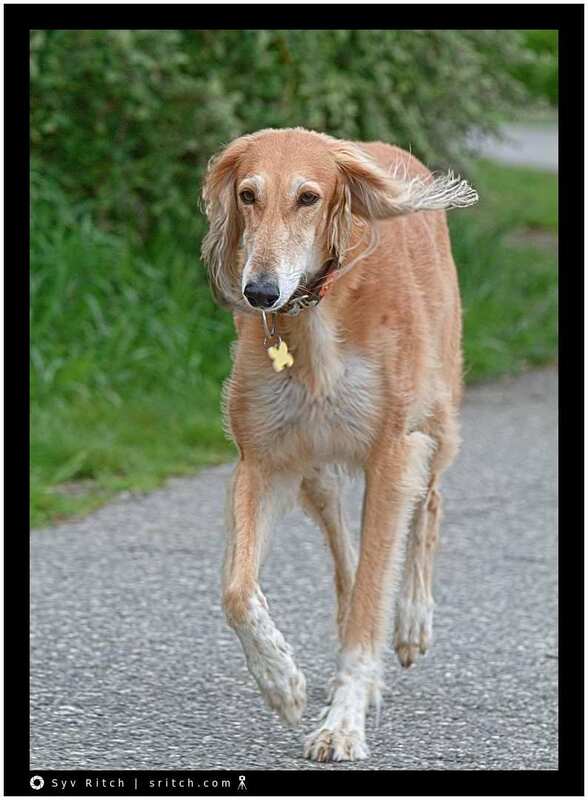 The Greyhound rescue took her under their umbrella and eventually she ended in Canada. After 5 years, she still has problems with Canada and the West Coast. 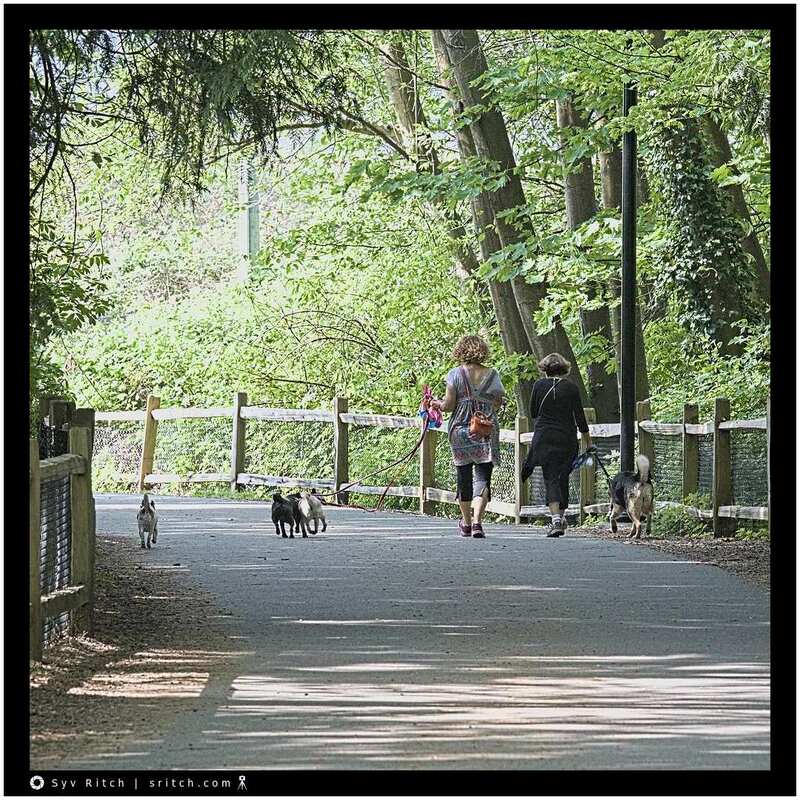 These two ladies are walking in the forest with their dogs. I do not remember his name (I should have written it down) but in spite of his white muzzle, he’s only 5 years old. 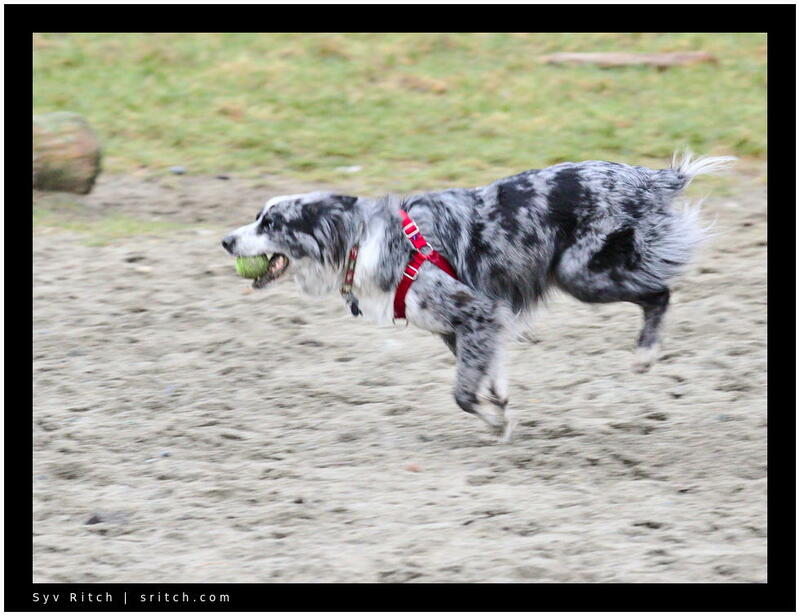 This Border Collie is running back with his kill ball. 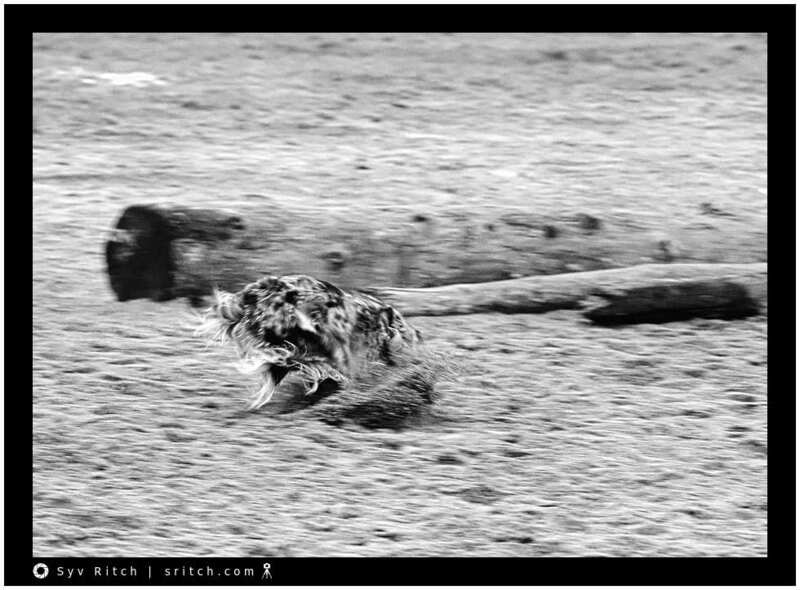 He runs back, but not too fast. I didn’t ask for his name. 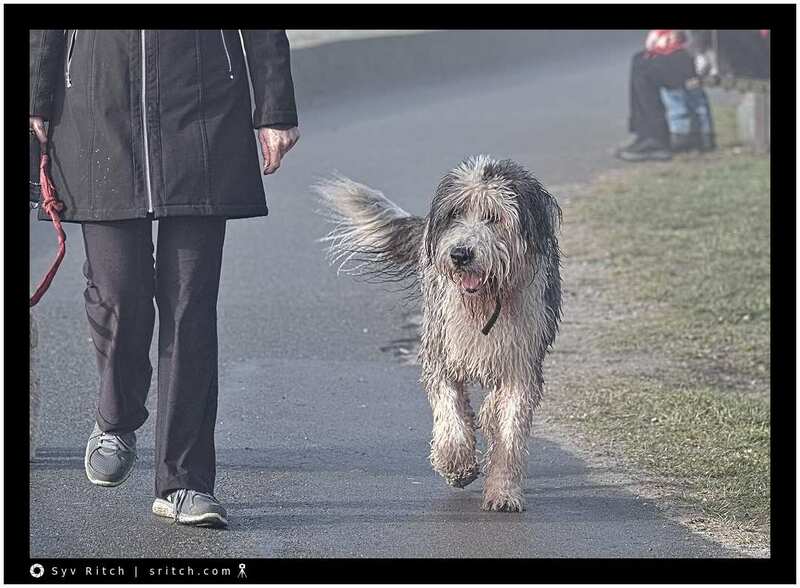 The owner was busy throwing the ball and talking with another lady, so I didn’t interrupt. Lizzy, the white dog, is playing with a Shiba Inu, the brown dog. It looks fierce, but they are just playing. 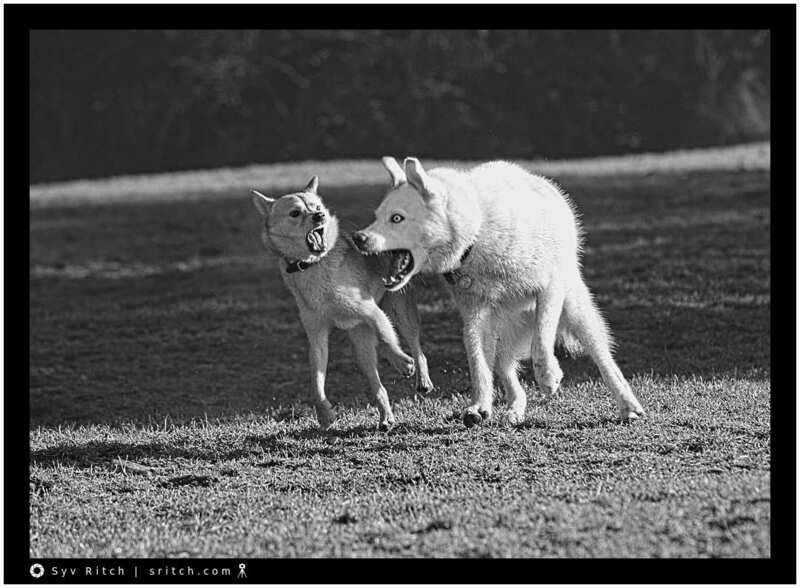 Usually, when a dog doesn’t like it anymore, that dog starts whimpering and the other dog usually stops. What makes the difference between playing around and getting ready to attack? Directions and tensions. This guy is using his smartphone to photograph the fog. 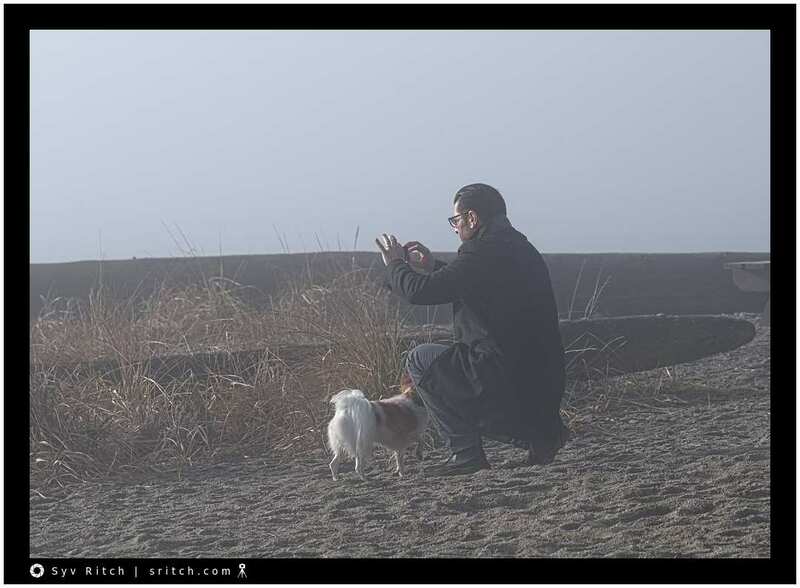 I’m using a ‘real’ camera to photograph him photographing in the fog. The fog was starting to lift and some of the sun started to shine through the fog. © 2009 — 2018 Syv Ritch — https://www.sritch.com · All text and photos are the sole property, through copyrights, of sritch.com and db Networks Ltd unless otherwise noted. All opinions expressed on this website are the personal opinions of Syv Ritch. They do not represent the opinion of anybody else or of any other company.